There are few Syrian authors who have not left the country despite the seven-year civil war. 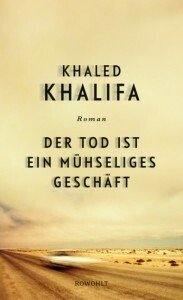 In addition to Niroz Malek, whose text collection “The Stroller of Aleppo” appeared in German last year, one of them is Damascus-born Khaled Khalifa. 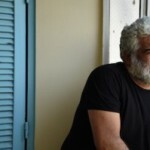 Born in 1964 , the essayist, poet, scriptwriter and novelist is considered one of the main critics of Bashar al-Assad’s dictatorship still living in Syria. 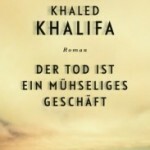 Khalifa’s novels, most of which are not allowed in his homeland, have been repeatedly nominated for the International Prize for Arab Fiction. 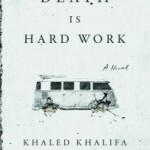 “Death Is Hard Work” is his first book in German. The three siblings have managed in their own way with the constraints of war, the conservative counterrevolution and the dictatorship, along with their “fascists with guns.” Fatima, who once wanted to be a teacher, has joined the ranks of oppressed wives with no rights and no will. Hussain, on the other hand, has become the protector of celebrities for Russian dancers in Damascus. And the former philosophy student Bulbul leads a shady existence as a dealer of dried fruit, becoming an exemplary citizen under the governing party of the Assad clan. 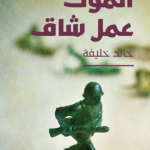 Because shortly after the flare-up of the Syrian revolution seven years ago, thinking had already become a “real crime that was punished.” Khaled Khalifa’s characters are anything but heroes, and that’s what makes them so tangible.